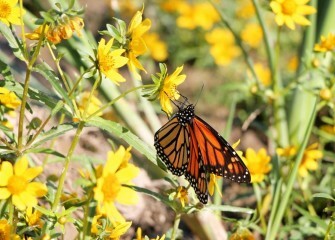 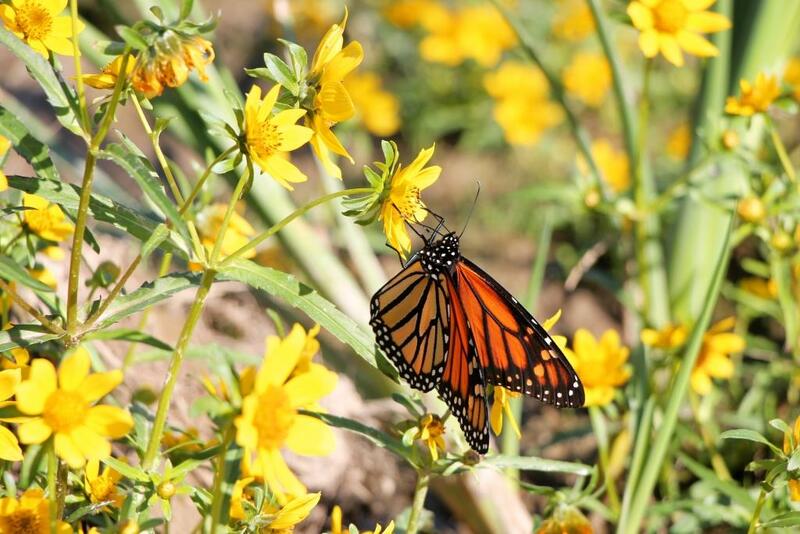 Home » Gallery "Southwest Lakeshore Enhancements"
October 2017 - A monarch butterfly drinks nectar from fall blooming nodding bur marigold planted near Harbor Brook earlier this year. 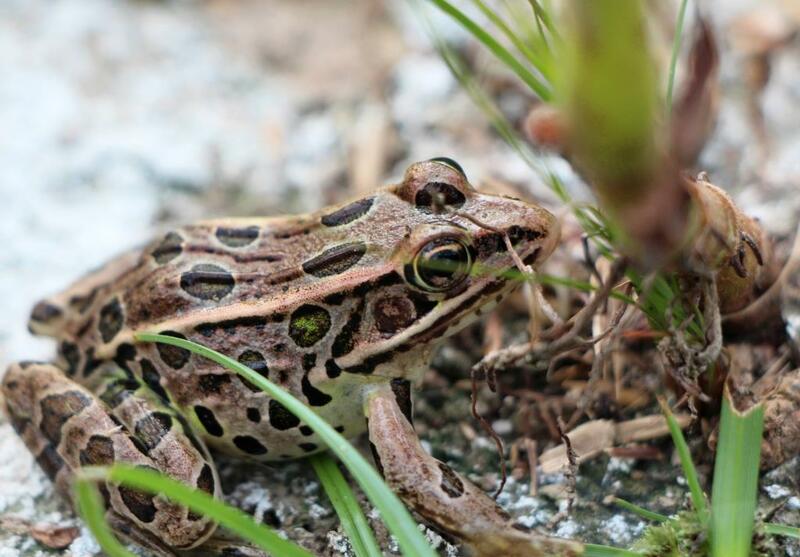 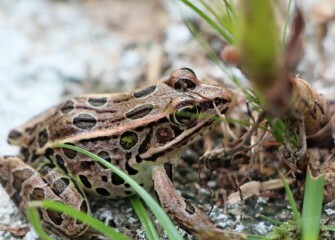 August 2017 - A Northern Leopard Frog in recently restored habitat at Harbor Brook. 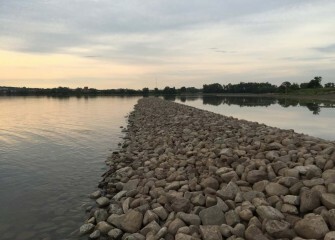 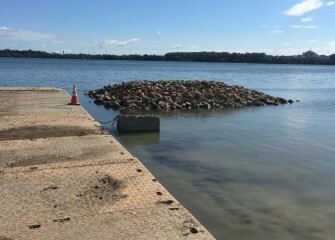 August 2017 - Several rock berms were installed along the Southwest Lakeshore to protect the shoreline from wave action and provide shelter for small fish and wildlife. 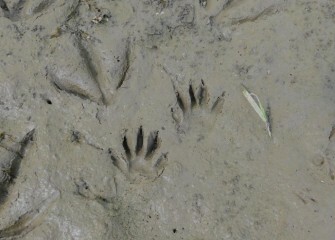 August 2017 - Tracks in mud show a raccoon (center) and a Great Blue Heron (left) each passed through recently. 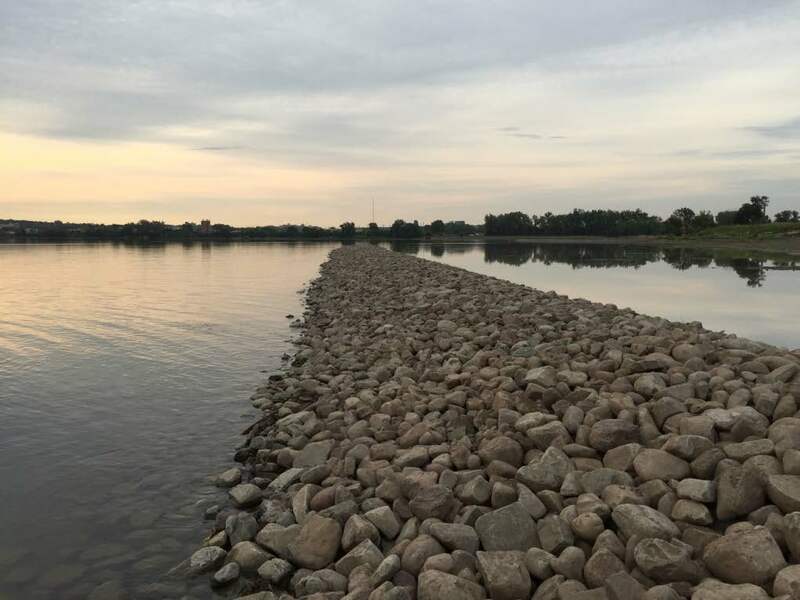 August 2017 - Shallower areas near the southwest shoreline will benefit wetland spawning fish, such as Northern Pike. 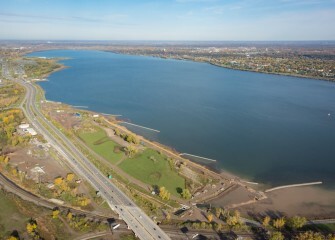 February 2017 - The southwest shoreline of Onondaga Lake before additional plantings this year. 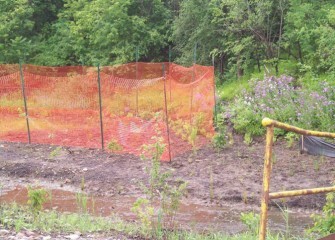 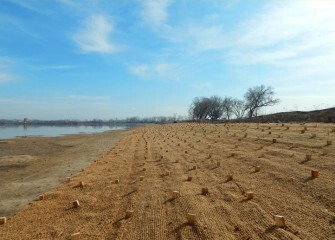 Biodegradable erosion control fabric, secured with wooden stakes, protects a native seed mix planted last fall. 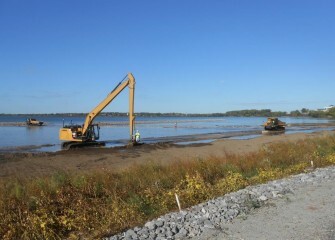 October 2016 - A long stick backhoe places topsoil along the southwestern shoreline. 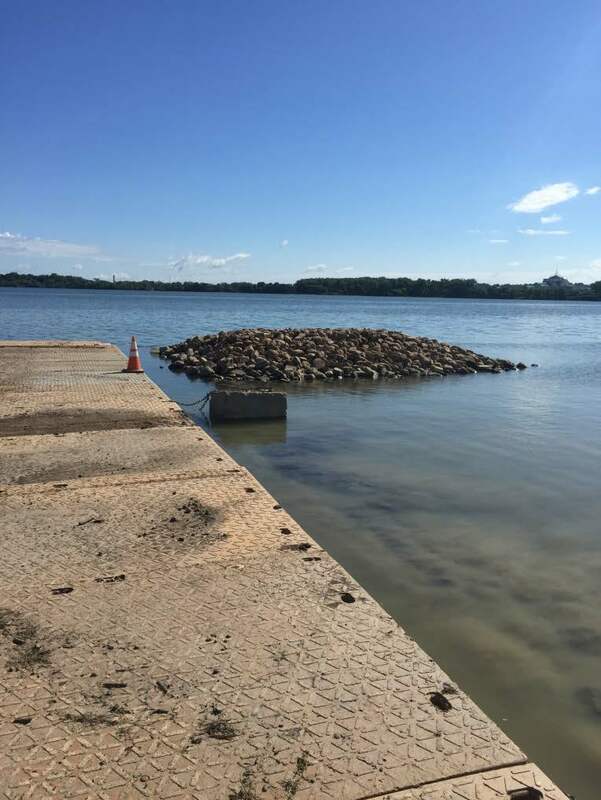 September 2016 - The rock berms will decrease wave action along the shoreline, reducing erosion. 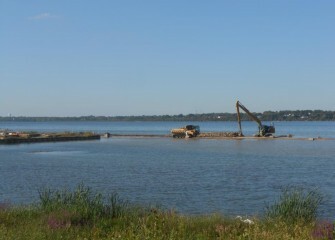 September 2016 - Near the mouth of Harbor Brook, workers reach shallow areas over heavy equipment mats used to create temporary access roads. 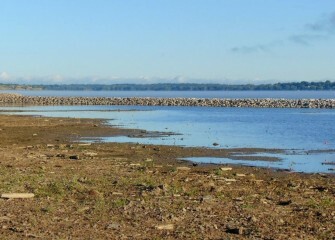 A Great Egret can be seen at the shore’s edge. 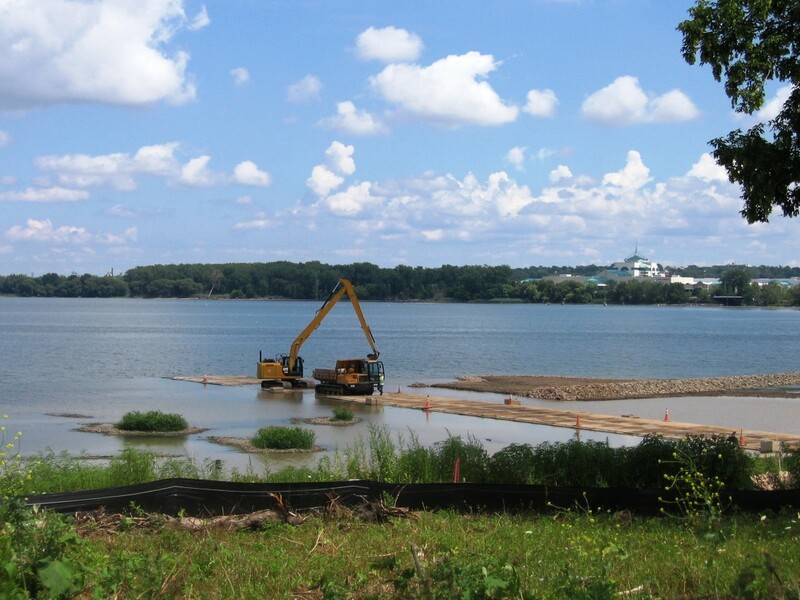 August 2016 - Topsoil is placed in shallow water areas, creating a habitat layer for underwater vegetation. 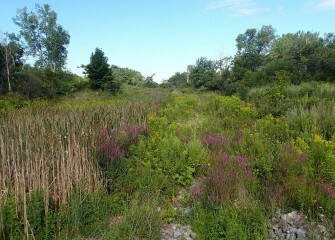 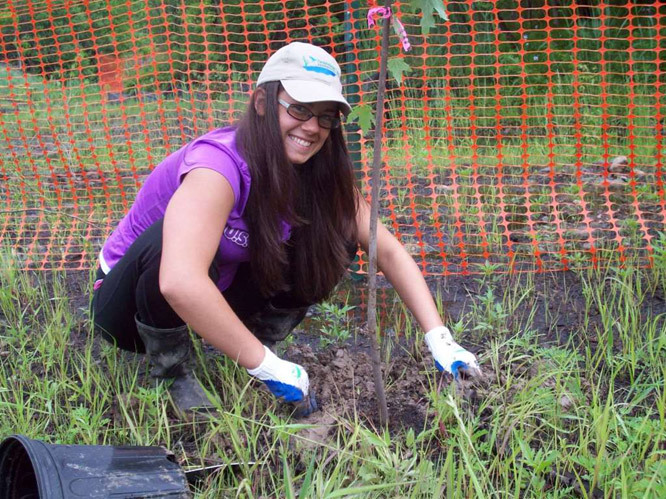 August 2016 - Native species are helping restore habitat at Harbor Brook that was once dominated by invasive species. 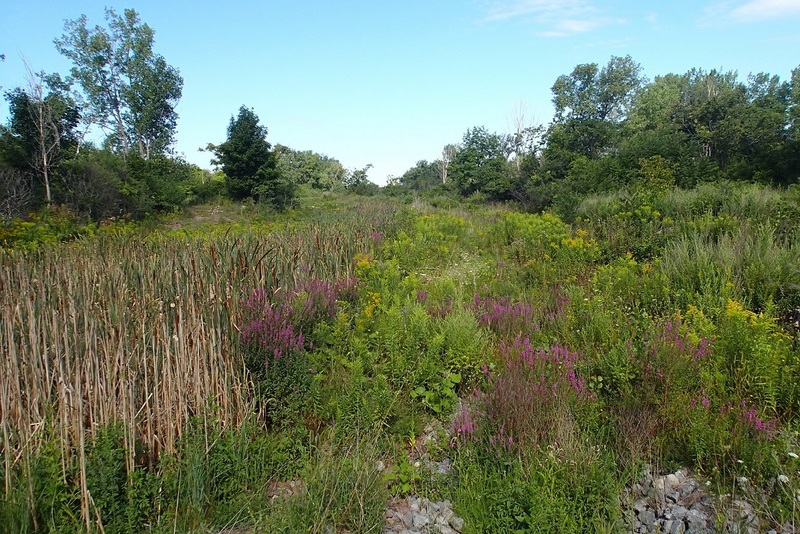 August 2016 - The work upstream near Harbor Brook has improved habitat in the Onondaga Lake watershed. 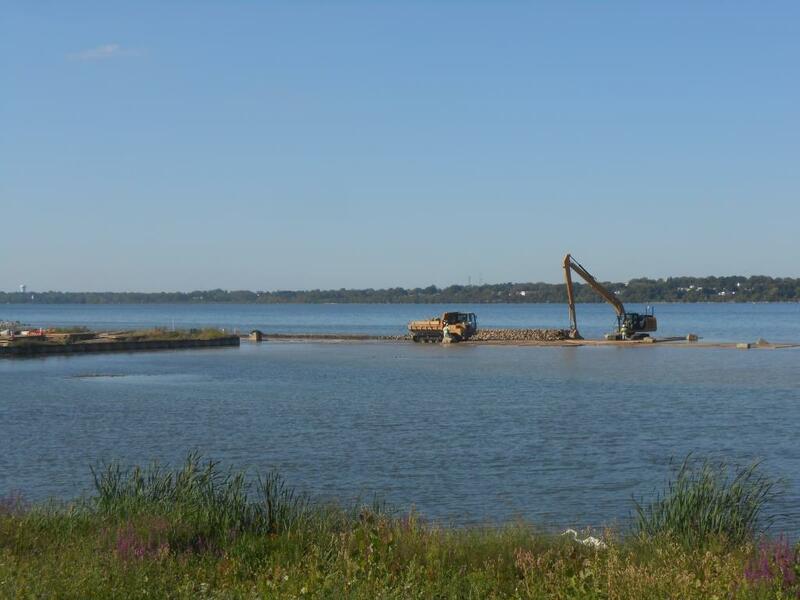 July 2016 - Berms will create sheltered areas for small fish near the shoreline. 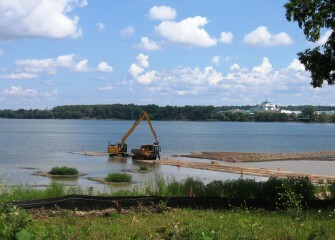 June 2016 - Construction of a berm along the southwestern shoreline begins. 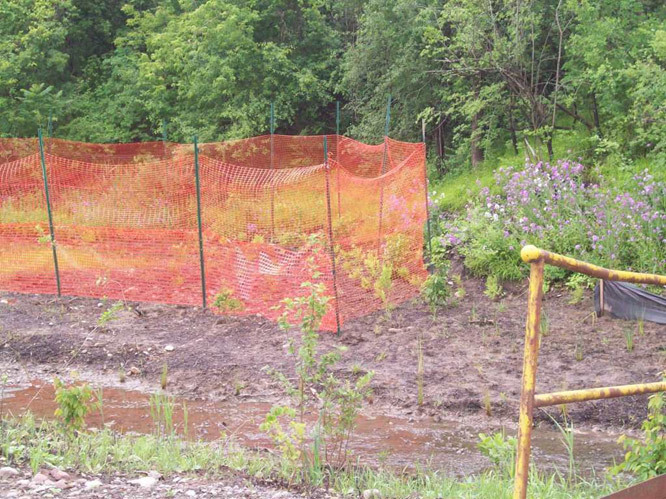 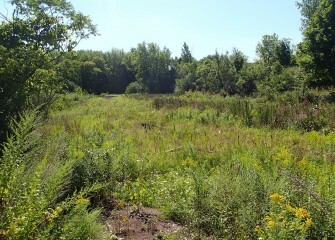 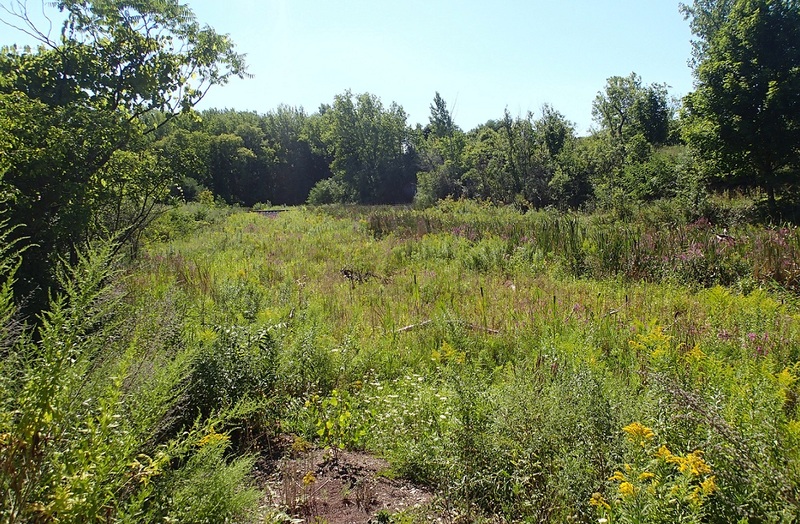 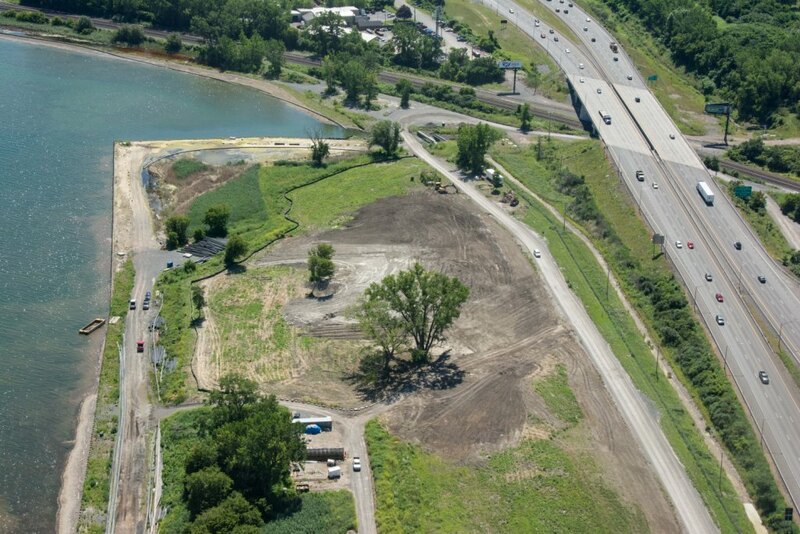 July 2015 - A nursery is set up (lower left) for future native plantings to enhance the Southwest Lakeshore. 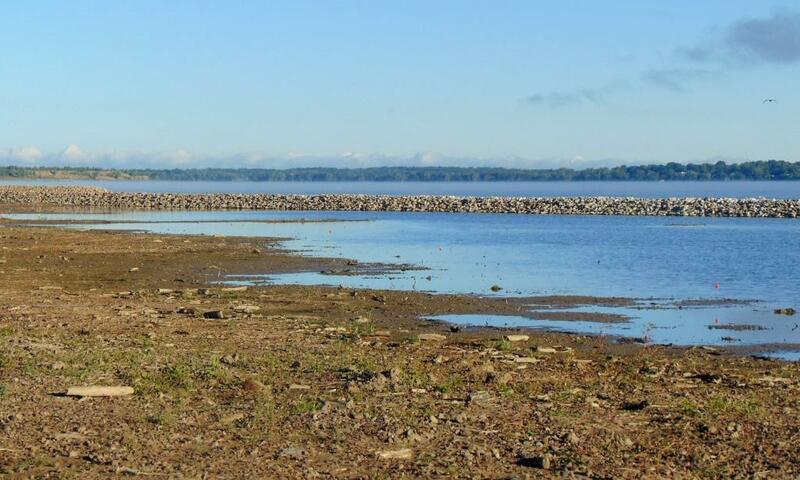 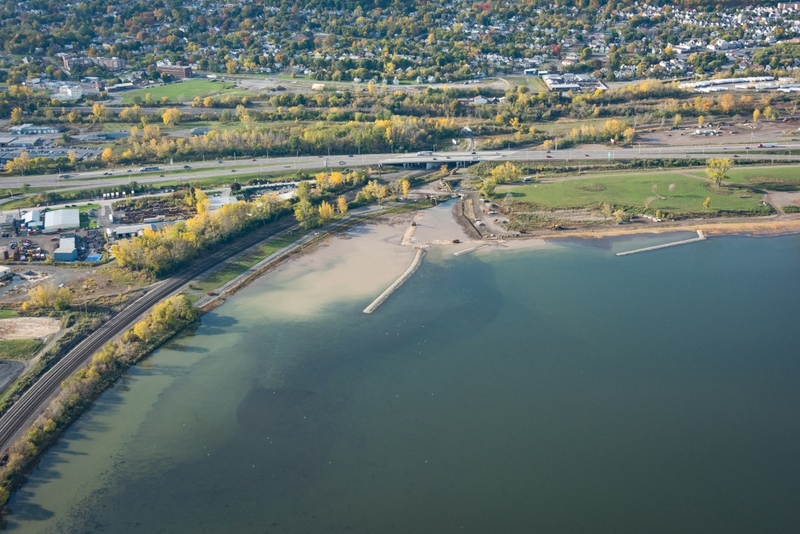 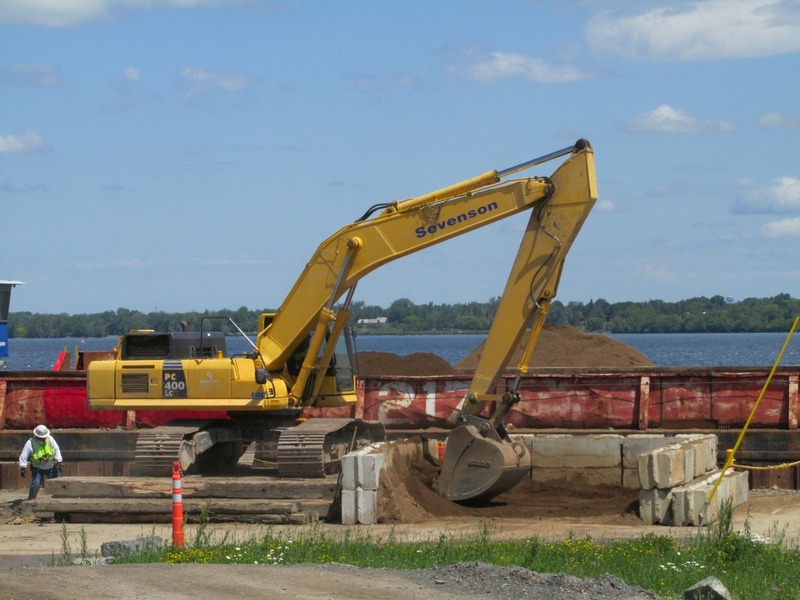 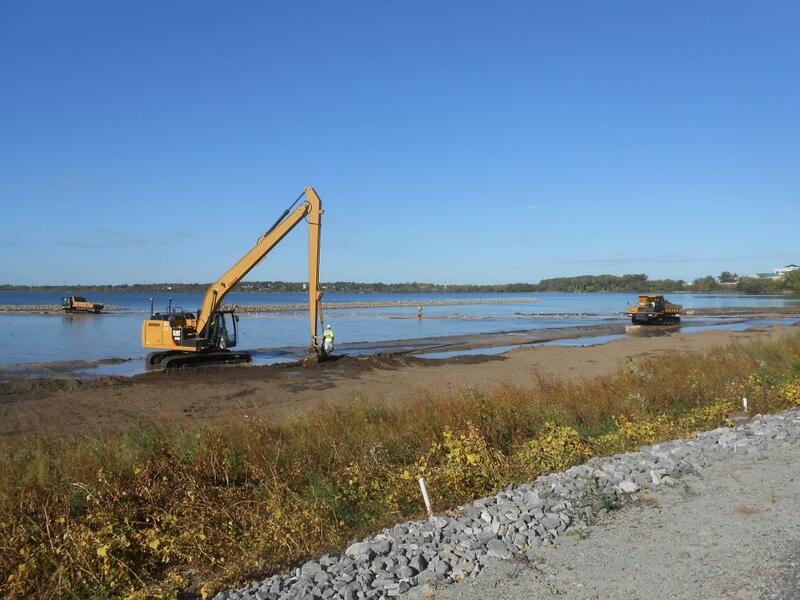 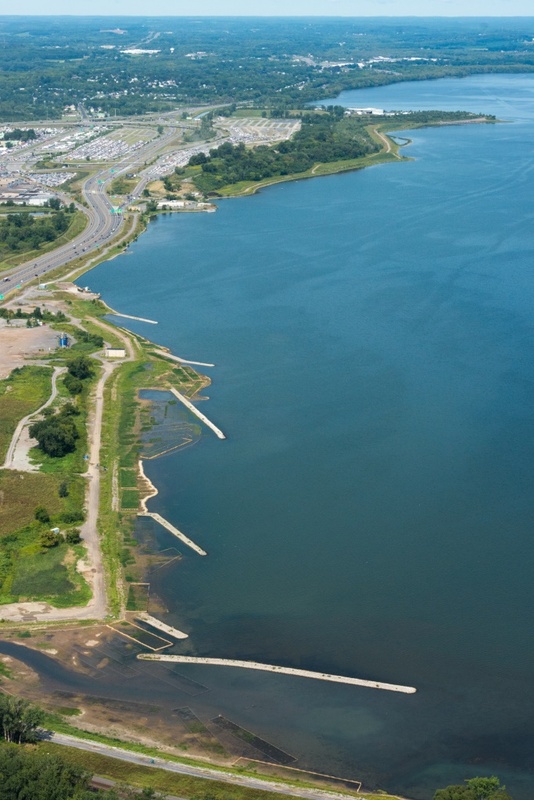 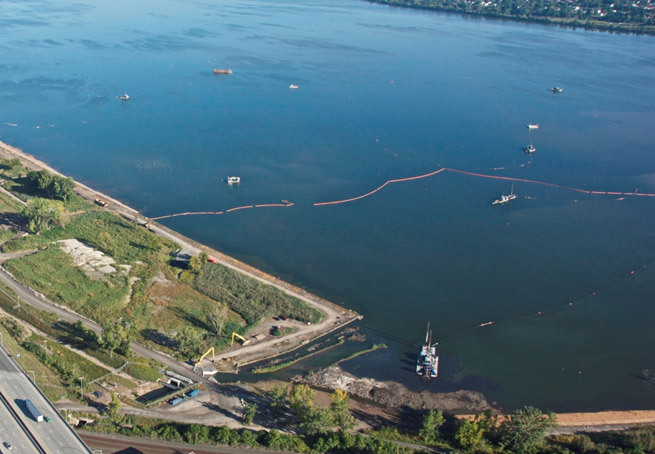 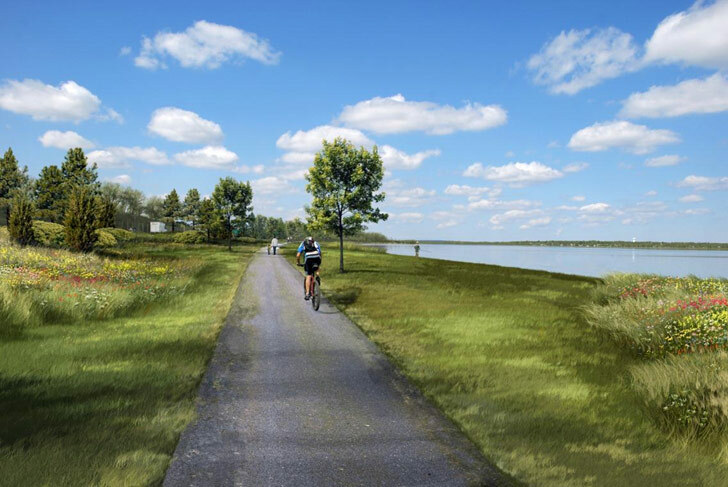 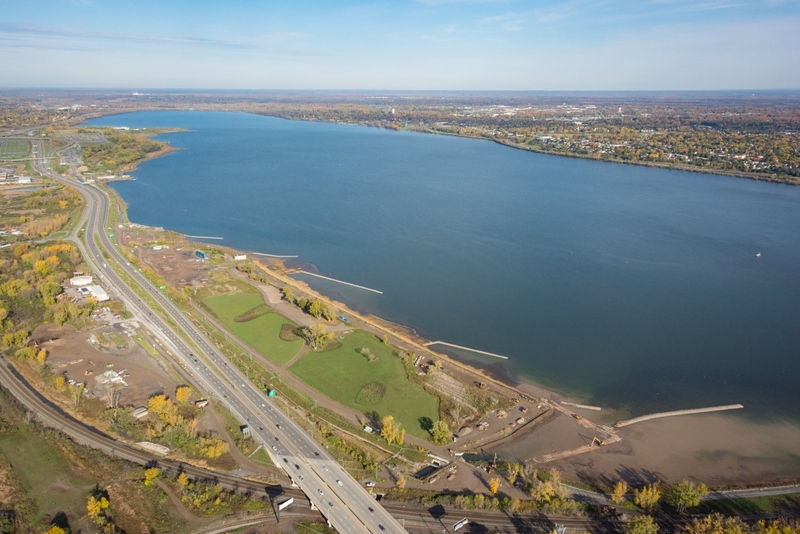 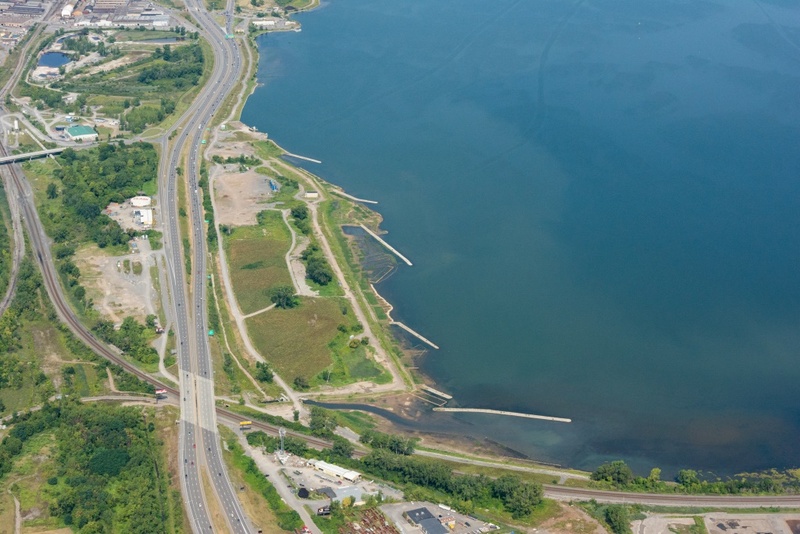 July 2015 - Work continues along the southwest shoreline of Onondaga Lake. 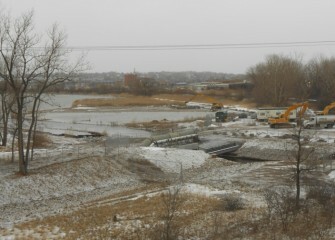 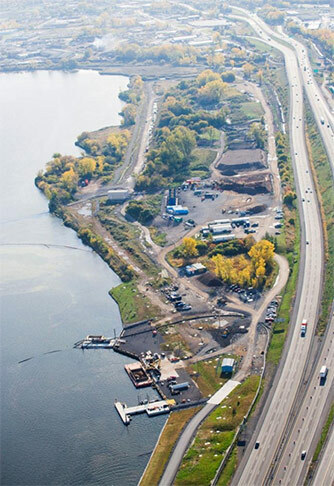 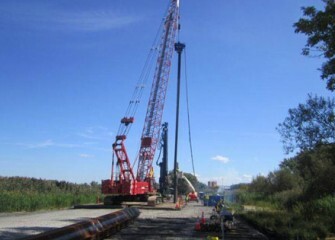 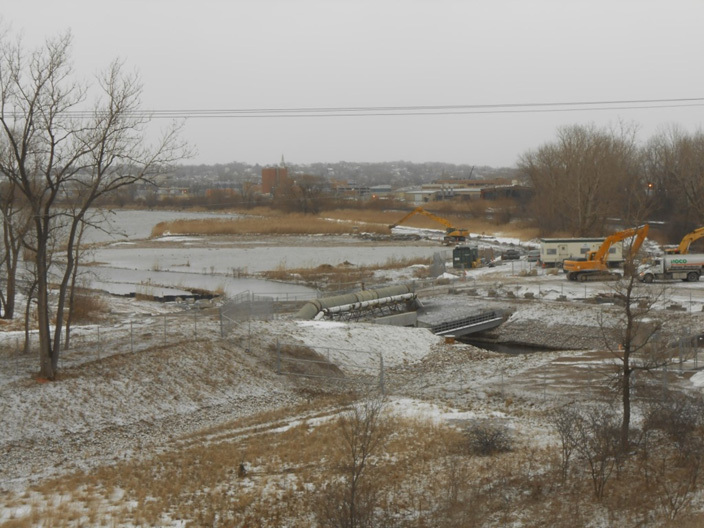 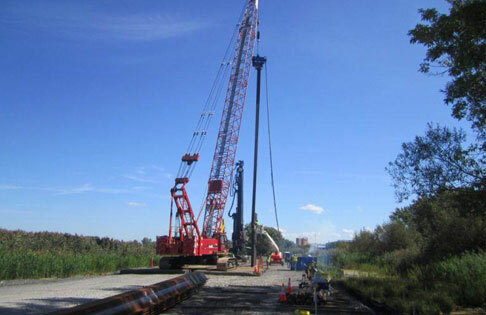 March 2014 - Construction activity continues at the mouth of Harbor Brook in the southwest corner of Onondaga Lake. 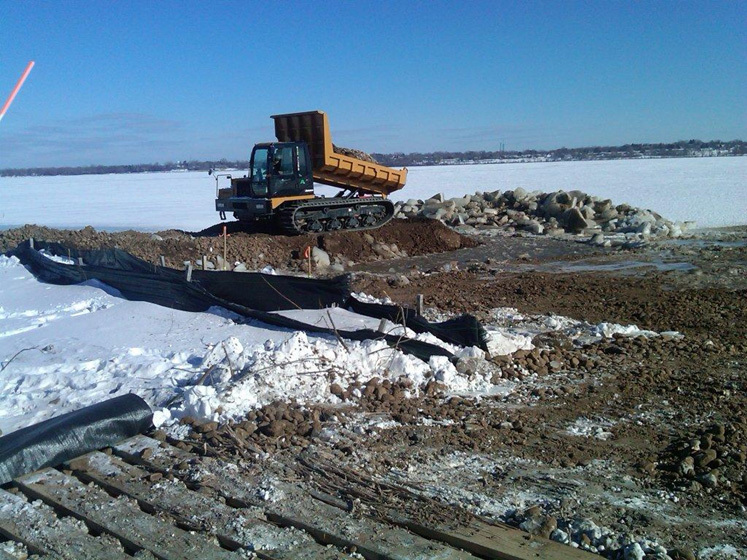 February 2014 - A rubber-tracked dump truck suitable for moving over uneven terrain delivers clean soil to the edge of the lake. 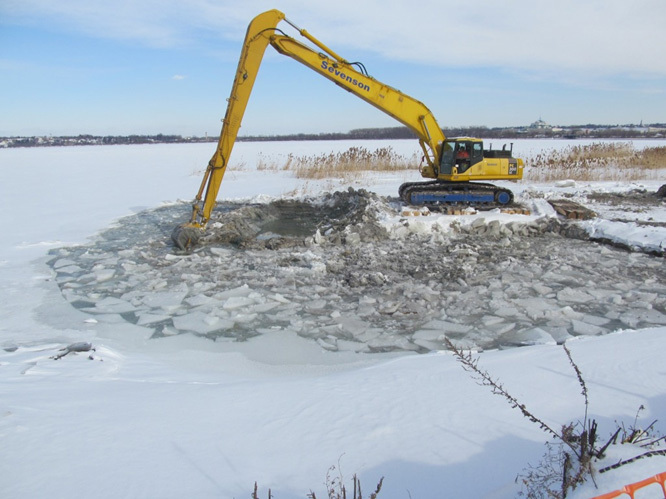 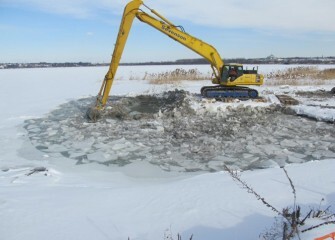 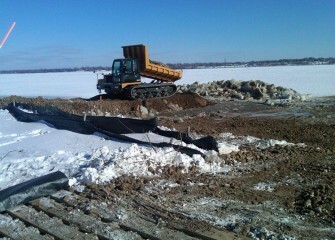 February 2014 - Ice must be cleared with an excavator as work continues rebuilding the southwest shoreline. 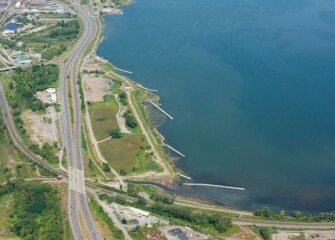 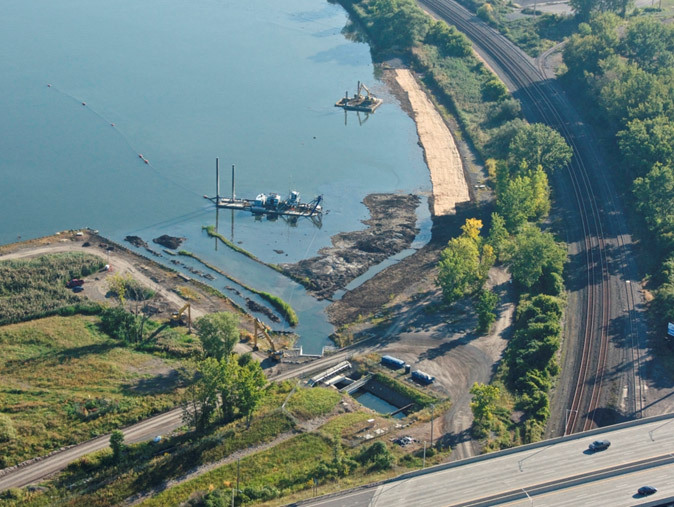 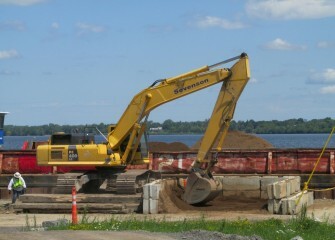 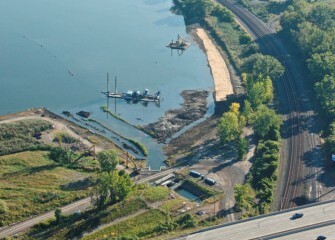 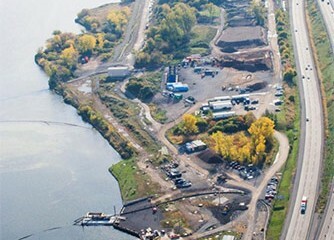 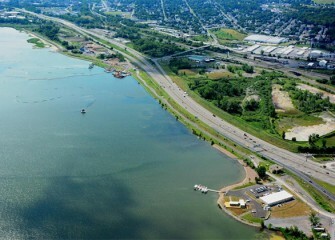 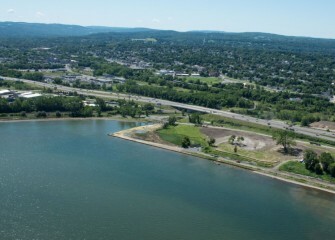 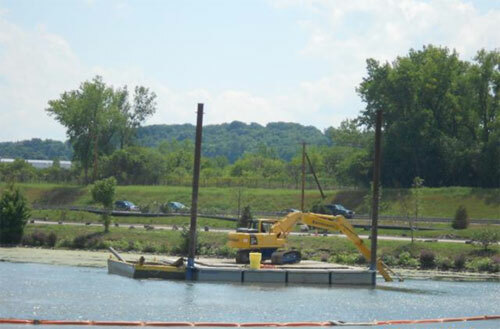 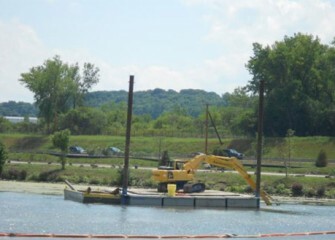 August 2012 - Large debris removal continues along the western shoreline of Onondaga Lake, with I-690 in the background. 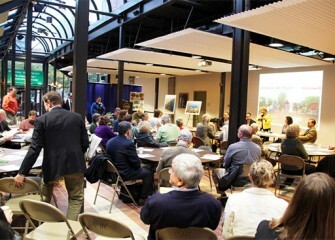 October 2011 - A meeting is held with F.O.C.U.S. 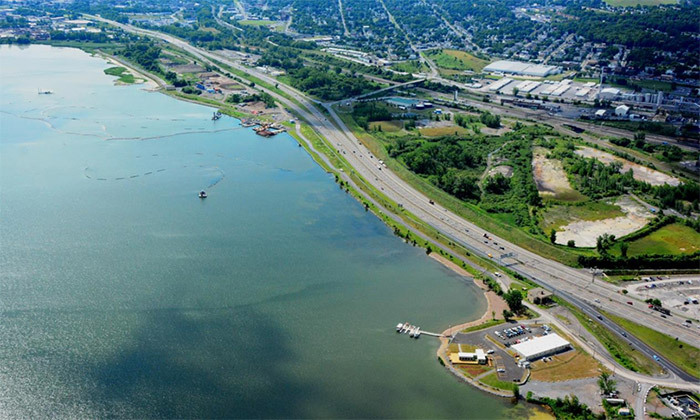 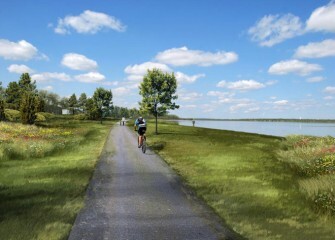 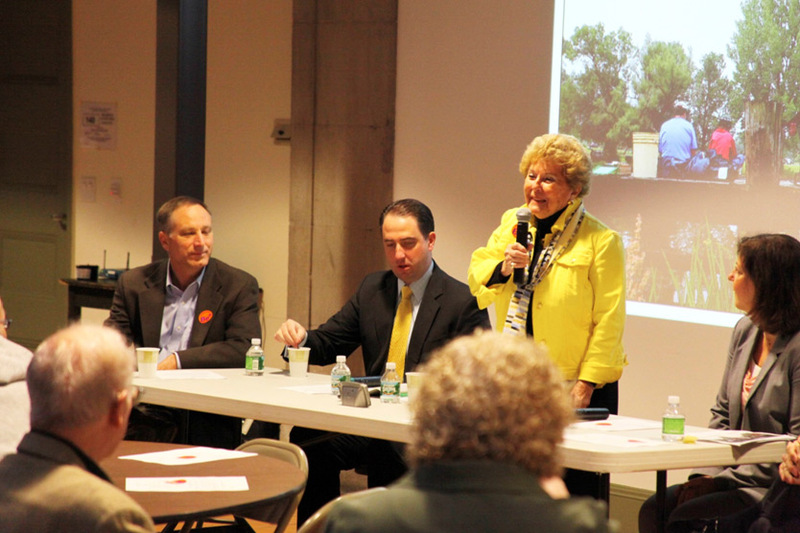 Greater Syracuse to discuss the future of the Southwest Lakeshore. 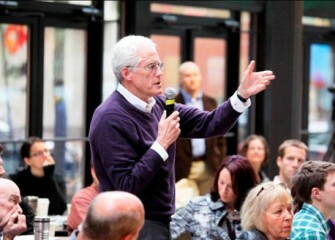 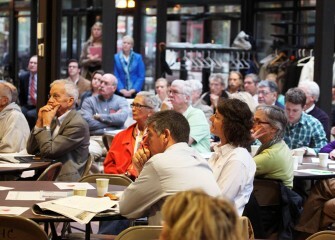 October 2011 - Bob Haley, of Syracuse and community members provide recommendations on the preliminary plans for the Southwest Lakeshore. 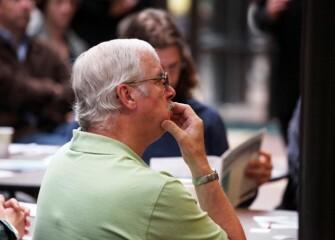 October 2011 - Chuckie Holstein, F.O.C.U.S. 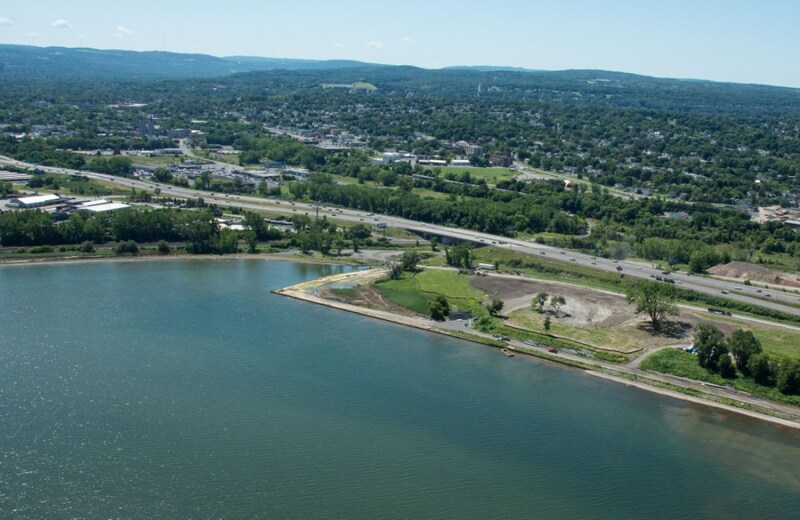 Greater Syracuse Executive Director, talks about how public/private collaboration is helping create a vision for the Southwest Lakeshore. 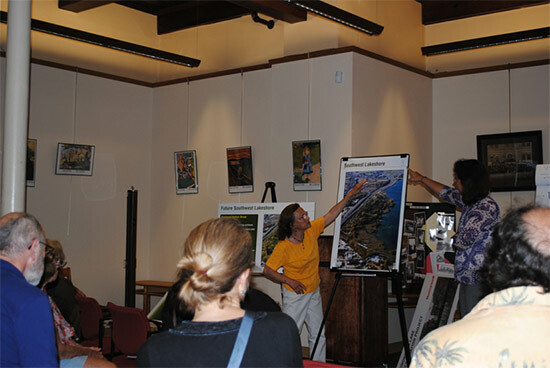 October 2011 - Community members provide recommendations on the preliminary plans for the Southwest Lakeshore. 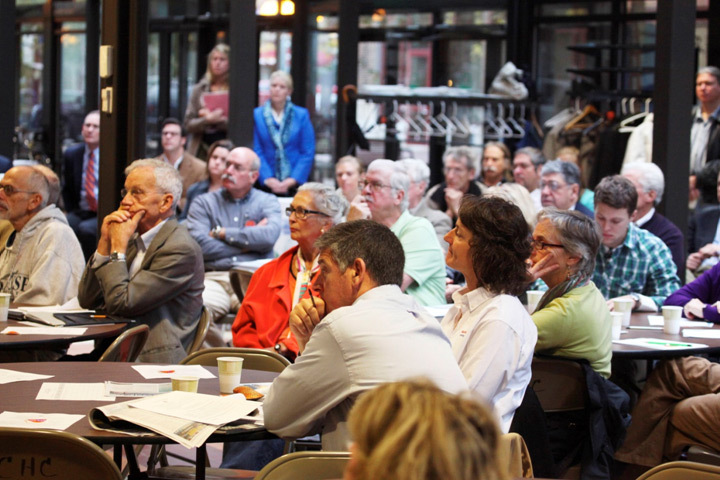 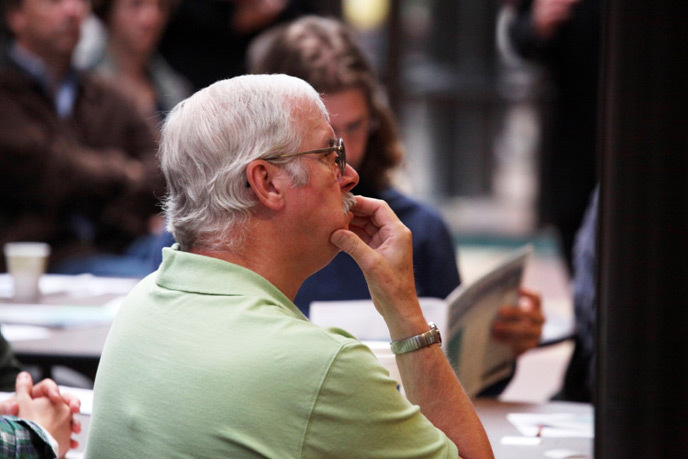 October 2011 - Jack Ramsden, member of the Onondaga Lake Community Participation Working Group, listens during a discussion on the future vision of the Southwest Lakeshore. 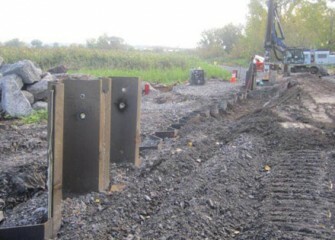 September 2011 - Phase III of the barrier wall in the vicinity of Harbor Brook. 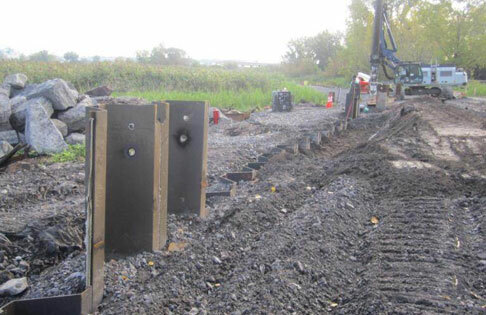 September 2011 - Phase III of the barrier wall continues near Harbor Brook. 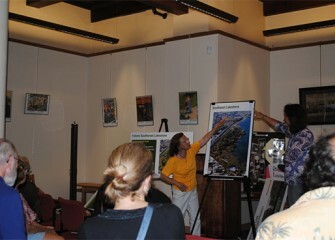 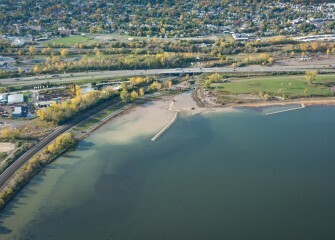 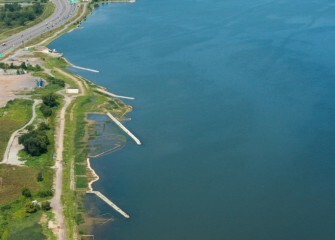 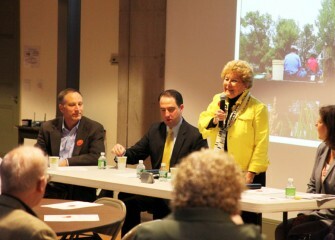 July 2011 - A community meeting is held to discuss the future of the Southwest Lakeshore. 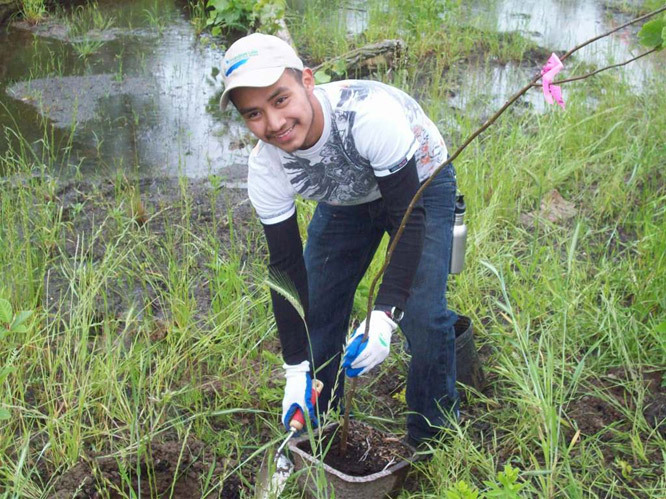 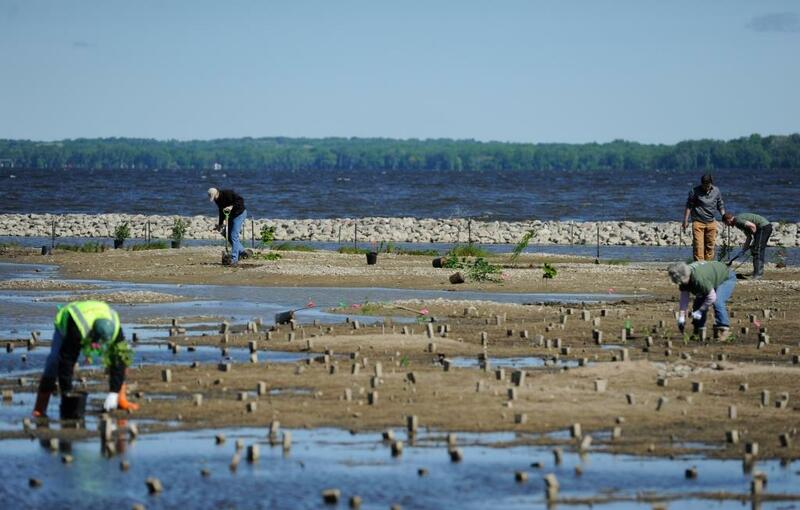 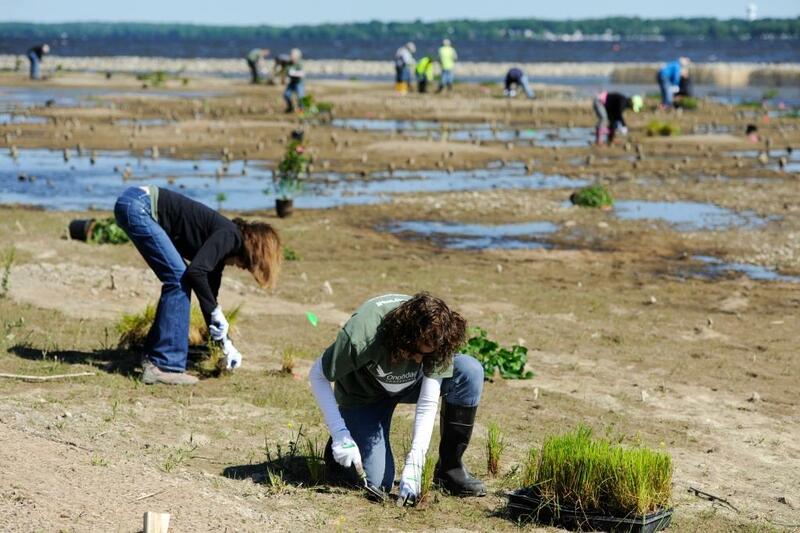 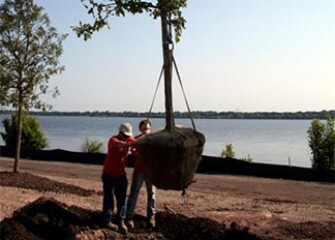 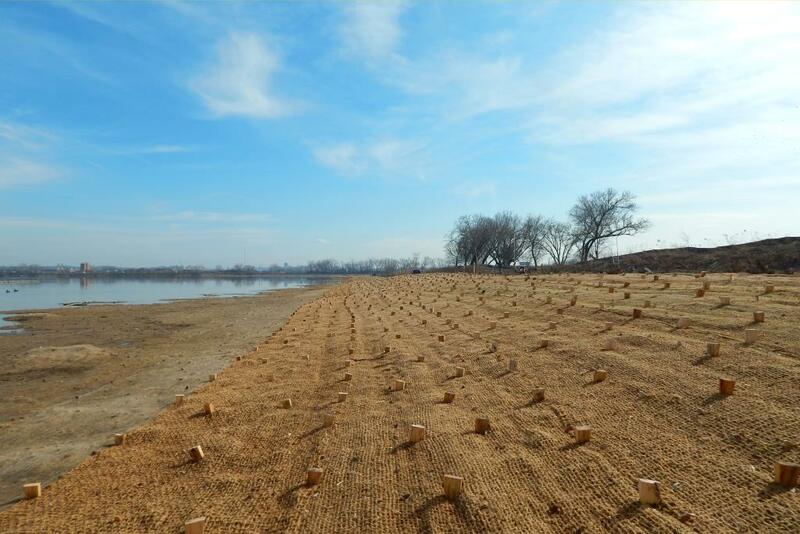 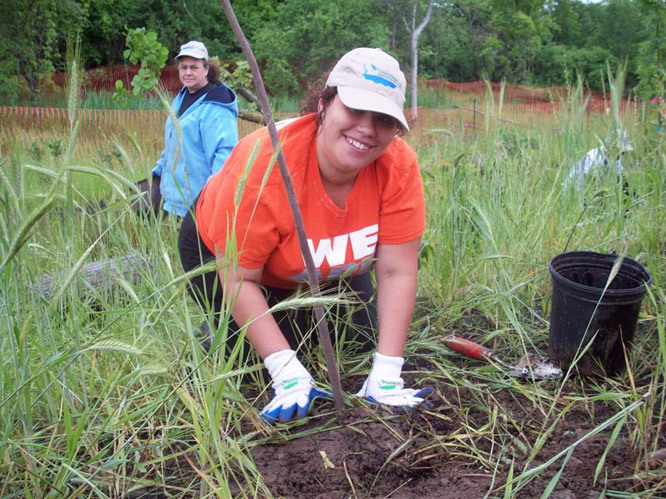 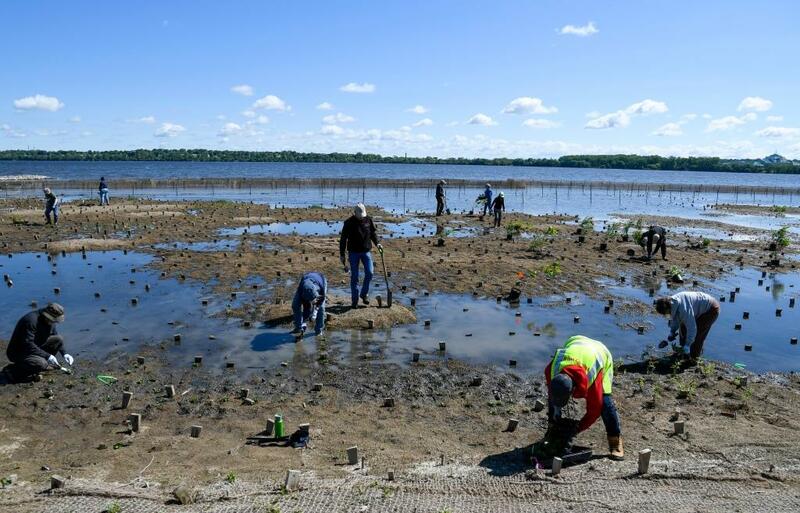 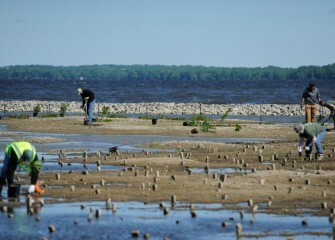 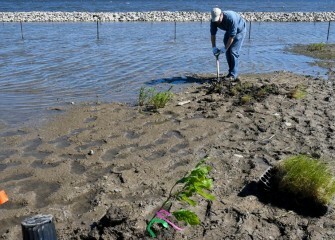 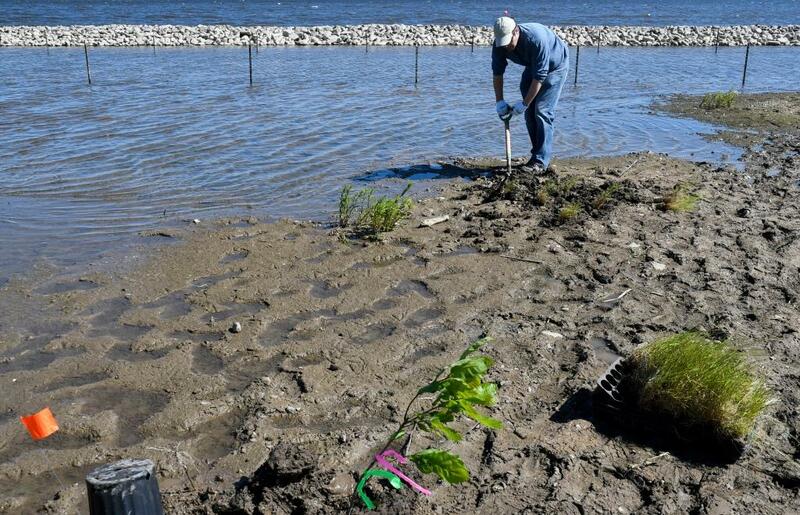 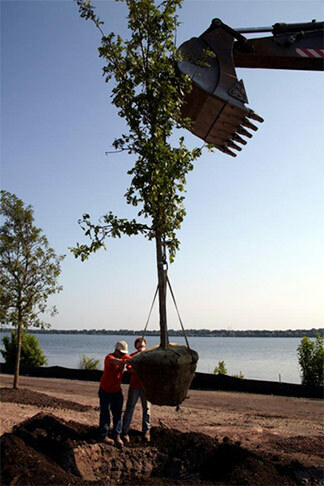 June 2011 - Trees are planted at the Southwest Lakeshore.